This song….smh. This will forever be one of the best break up songs known to mankind. I recommend it for everyone’s breakup/broken-hearted playlist. Talk about singing your heart out! Dru Hill sings about not being able to get over someone they love,no matter what they do. I think we all can relate to these moments. When you’re single and able to do what you want,but that person is still on your mind. When you find yourself wondering if you’ll ever be able to love someone as you loved that person. The words of this song always make me tear up thinking about past situations that made me feel this way. It’s hard not to get in your feelings when Sisqo is singing these lyrics in his powerful and passionate voice. 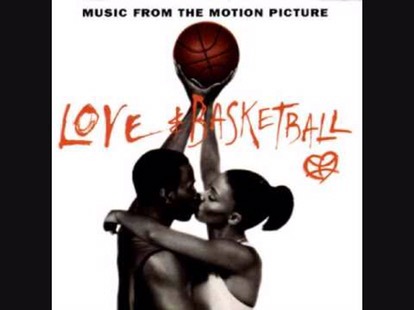 I’ll never forget how this song made me cry from my soul as these two played a 1 on 1 basketball game for his heart at the end of “Love and Basketball”. This song is so beautiful, yet so sad! It’s meaningful to me even to this day because I’ve experienced this songs lyrics on so many different levels. Everyone at some point knows how it feels to care deeply about someone that wants nothing to do with you,for whatever reason. Everyone has at least one person that they feel made a fool out of them and broke their heart in some way. There’s not too many things more cruel than snatching someone’s heart out of their chest and stomping on it with the harsh reality that interest and feelings just aren’t there anymore…or never were. The words are everything, and her voice is perfect for delivering them.